Background: Microbial communities dominate all ecosystems but we know relatively little about their role even in the biggest ecosystem of all - the ocean. Similarly, we have limited knowledge on bacteria-host association, such as in the human microbiome. Interactions among closely associated microbes are significantly more complex than we envisioned and involve a web of signalling compounds, antibiotics and viruses resulting in fast evolving heterogeneous communities, continuously being selected for by a variety of ecological forces. Trying to understand experimental evolution of biofilms/microbiomes requires the use of novel experimental tools in robust engineering approaches along with the development of computational tools. 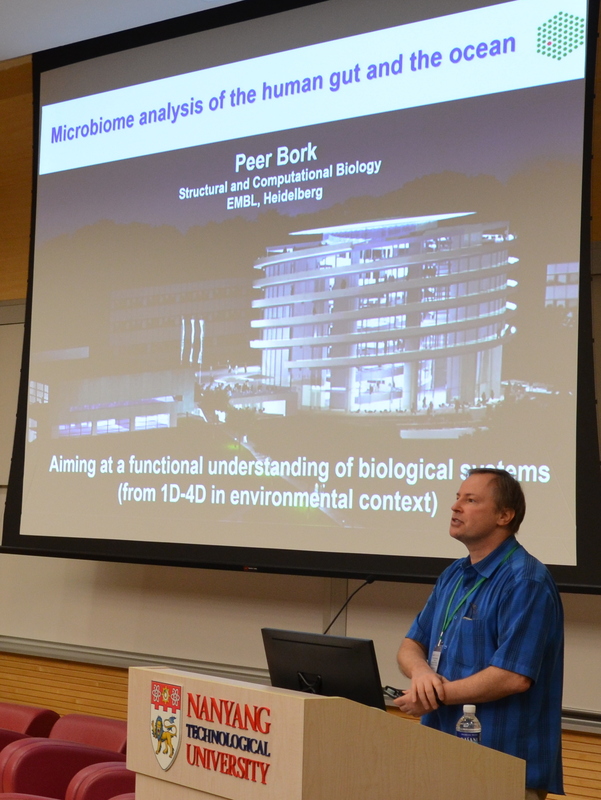 Bork’s presentation on the Microbiome Analysis of the Human Gut and the Ocean outlined the processes involved in analysing two very different systems, and demonstrated the similarities involved in the undertaking. He discussed possible routes for accessing microbiomes. Key milestones associated with ocean metagenomic sampling followed by human metagenomic sampling, with Illumina short read sequencing opening the floodgates for analysis of human population samples. The field of genomics/metagenomics benefited from the parallel analyses of the two very different systems. Bork emphasised the need to understand the environments in which samples were being taken, as the microbiomes were not behaving in isolation. This was especially so human clinical investigations where the microbes might be responding to symptoms in the host, e.g. inflammation resulting from treatment, rather than the disease itself. In such instances the signals need to be decoupled. He stressed the need to narrow the focus to intraspecies variation or strain level, as there can be huge differences in can preside at this level of variation. 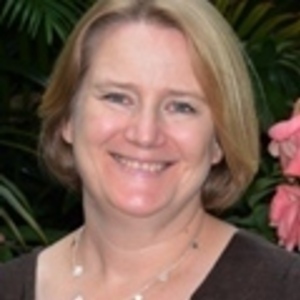 Wegley-Kelly’s discussion of Predicting Reef Futures via Biological Feedbacks of Holobionts and Biophysical Characters of Interaction Zones detailed the biology at the interfaces of marine organisms co-inhabiting a reef. The health of reef corals and algae are dominated by interactions between benthic organisms, biofilms and the water overlying the reef. This interaction is characterised by very different biochemical profiles directly released by the organisms involved, and these biochemical drive microbial community dynamics. The exudates released by algae are much richer in organic carbons than those released by corals, with each featuring different carbohydrate compositions. Algal exudates stimulate microbially-mediated hypoxia, resulting in an oxygen draw-down at the interface between the organisms. Holobionts compete with each other for space, and competition is governed by interactions at the interface of organisms, where microbes play a central in the transition of overgrowth. The interface community has a higher heat/power level, which is not related to cell abundance but to the heterotroph:autotroph ratio. This leads to the question of what local feedbacks are created by benthic holobionts, given the spatial dynamics. Wegley-Kelly outlined a surveying technique using photo mosaic landscapes to provide images of greater spatial scale than conventional transect surveys. These revealed the spatial connection of different holobionts, referred collectively as “holomes”, which were subjected to a self-perpetuating feedback to promote proliferation of conspecifics in non-random clustering. Holomes are ‘winning’ at the interaction zones, but understanding why still needs investigation. Identifying the holomes that aggregate in close proximity provides a tool to analyse greater species patterns and predict the community response following the removal of one species due to global influences such as ocean acidification. Naturally produced antibiotics in the coral mucas is less influential in driving microbial community composition compared to the exudates themselves, as the hardier corals select for microbiomes that do not respond to sugars. Cohen’s presentation on Microbial Biofilms – Dynamic Evolution of Heterogeneous Communities Guided by Ecological selection outlined a novel flow cell that can track the behaviour of heterogeneous microbial biofilms as they develop over time. The hyperbolic flow cell chamber generates a linear velocity with well-documented linear diffusion along the chamber. It enables the kinetics of biofilm aggregation and dispersal to be recorded in a highly visual system. The flow chamber can be coupled with sensors to determine factors such as oxygen loading and temperature, to inform on activities taking place at specific points in the biofilm. The system allows experimental design to accommodate specific ecological parameters, providing analysis of temporal and spatial activity under defined conditions. Initial experiments show development over the first day of biofilm growth is highly reproducible, but the system becomes more chaotic in the later stages of biofilm development. Kishony’s second presentation of the conference focused on Stability in Antibiotic Producing Communities, a pertinent topic as natural systems have developed answers to a multitude of problems we are currently facing regarding resistance and persistence. Antibiotics can mediate interactions in multispecies communities, and the question remains: How do so many species co-exist in nature? And how do antibiotic interactions work to maintain diversity? He used a laboratory three-species model to demonstrate how cheaters benefit from antibiotic producers, to the advantage of co-occurring susceptible strains. Diverse interactions among coexisting species can result in a network of cycling dominance mediated by the production of different stressors, or drugs. However, the microbial tangle of relationships is more than a network of pairwise interactions, with the presence of modulator species cable of offsetting the interactions of other components. In these three-way interactions the modulator can either intensify or attenuate the effects of the antibiotic producer, with the latter scenario being more common. Antibiotic attenuation enables coexistence despite dispersal events. Without attenuation, the biofilm collapses. Biofilms in nature are likely to exhibit intermixed diversity, where coexistence is maximised at intermediate levels of attenuation with antibiotic compounds produced by multiple sources. Here it is pertinent to incorporate ecological models based on eukaryotic systems into microbial communities, such as the Lotka Volterra preditor-prey interactions. As a neuroscientist, Ellisman has made great inroads into visualising and understanding brain structure and function by applying a multidisciplinary approach to develop new microscopy methods and image data integration strategies. In his presentation on Towards Making the Invisible and Complicated Understandable: Microscopy Across Scales and Modalities he reiterated Kishony’s keynote address (12 Feb, 2017), that “imaging is a powerful teacher” and demonstrated the resolution available for visualising tissue samples. Tools used to access the complex tissue of the brain can equally be employed to understand the intricacies of microbial communities. He discussed his contributions to the marine microbial metagenomics of the Sargasso Sea data set, where he used high-resolution imaging methods on associated microbial consortia. He said multi-scale microscopy could benefit microbial research, also citing the example of nano-SIMS and SEM imaging of inter-domain relationships between Archaea and Bacteria, which presented a whole new world when viewed at high resolution.